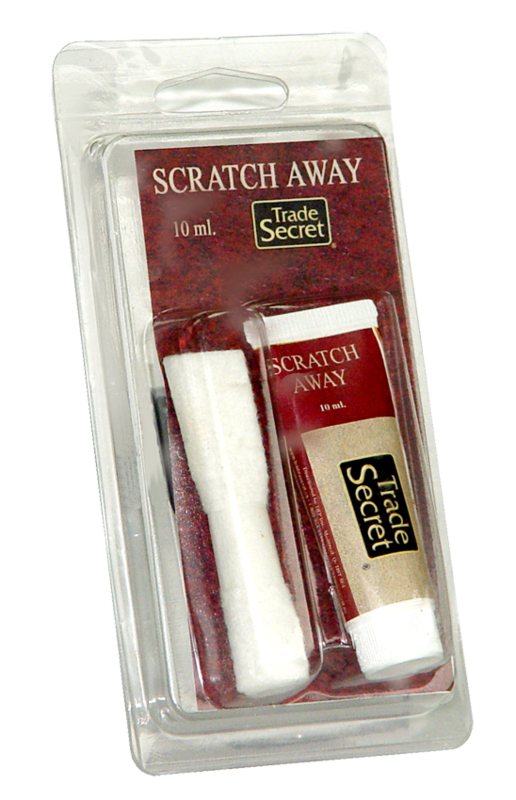 Trade SecretTM Scratch Away has been specially developed to erase surface scratches scuffs from Aniline leather. It works by displacing the colour on the surface to fill in the area where colour is missing. 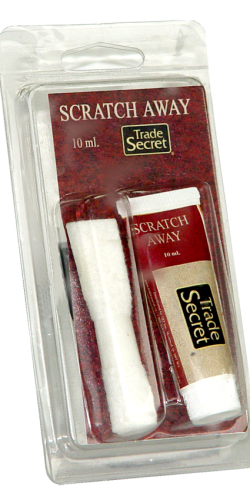 It can be used on any colour of leather and it great for fingernail type scratches, light pet marks and some delivery scuffs. How can you know if your leather is Aniline or not, since many sales people don’t actually know? Well there are a couple of easy tests. Touch the leather in an inconspicuous spot with a wet finger. If the water is absorbed by the leather, it is probably Aniline. If the leather just sits in a pool on the surface, it is probably pigmented or bycast. How much did you pay? Aniline leather furniture tends to be very expensive, usually in the $10k range. If you are not sure contact us for more tips on testing or contact the manufacturer.